Belfast has always been a central city of the industrial revolution, and there is still so much to explore in this city. Thus, owning a scooter in Belfast is a great way to get around and make daily trips around this ever-busy city. Why not own a scooter in Belfast today? 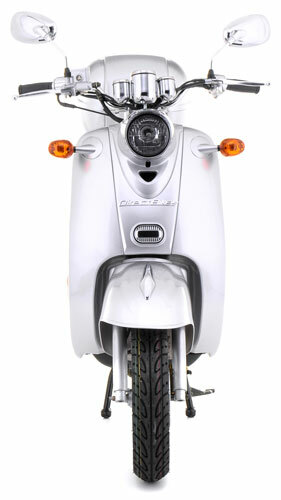 There are so many awesome things you are missing out on by not owning a scooter, here are some! Faster in Traffic: Scooters are the surest way to get out of traffic in no time. They are smaller than most vehicles on the road, which means they can sneak through small gaps. Parking: Since scooters are smaller, you can park them almost anywhere and save on parking costs. Easy to Learn: Riding a scooter is so easy, that you can learn to ride one in just a day. Price: Direct Bikes offers the best scooters at the cheapest rates in Belfast. Finance Options: We also provide the most flexible payment options to ensure that owning a bike in Belfast is as hassle-free as possible for you. Insurance: Many scooter dealers don’t do this, but at Direct Bikes, we help you compare the best scooter insurance deals on the market. Design: Our scooters are designed in various sizes, styles, and colours and are modifiable to suit your needs. Direct Bikes has no dealership in Belfast, but you can bet that we will get your scooter to you wherever you are in Belfast. We want you to have the best riding experience in Belfast. Just fill in your delivery information while making the payment, and we have got you covered.